This book focuses on the vital doctrines of salvation. Bible Class Notes - Doctrines of Salvation by Alan Summers was published by John Ritchie Ltd Christian Publications in January 2015 and is our 65349th best seller. The ISBN for Bible Class Notes - Doctrines of Salvation is 9781910513156. 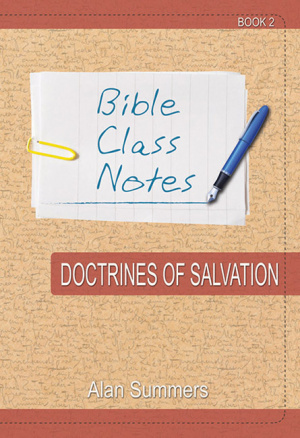 Be the first to review Bible Class Notes - Doctrines of Salvation! Got a question? No problem! Just click here to ask us about Bible Class Notes - Doctrines of Salvation.